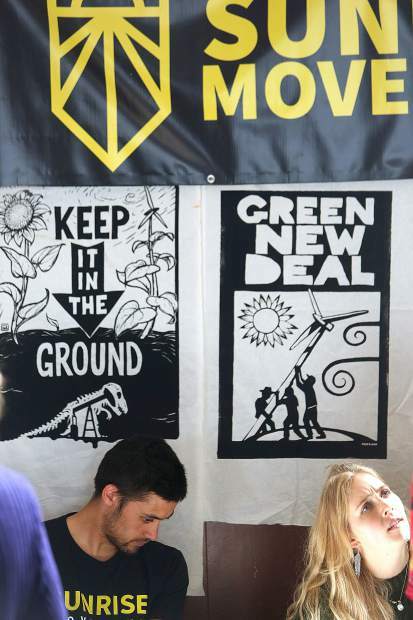 Steven Marquardt and Sierra Baker sign folks up to be a part of the Sunrise Movement during the Climate Action Forum held Saturday at the Grass Valley Veterans Memorial Building. 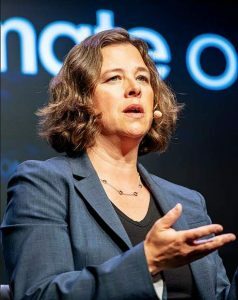 The event held speakers and informational booths intended to ignite civic action for the betterment of the community. 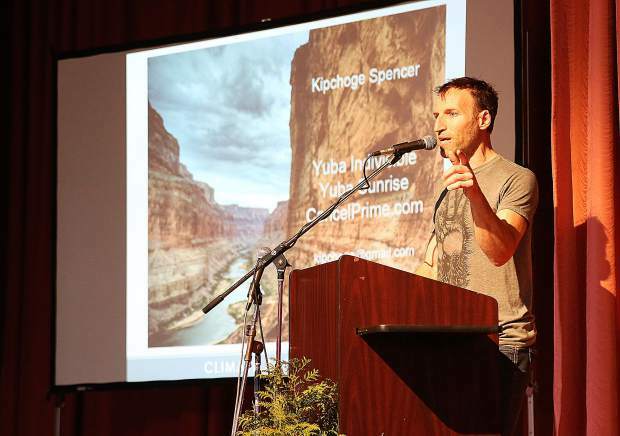 Kipchoge Spencer from the Chico Sunrise Movement urges folks to get signed up to be a part of a local movement to better the community by demanding that local leaders take the environment into account when making land use decisions. 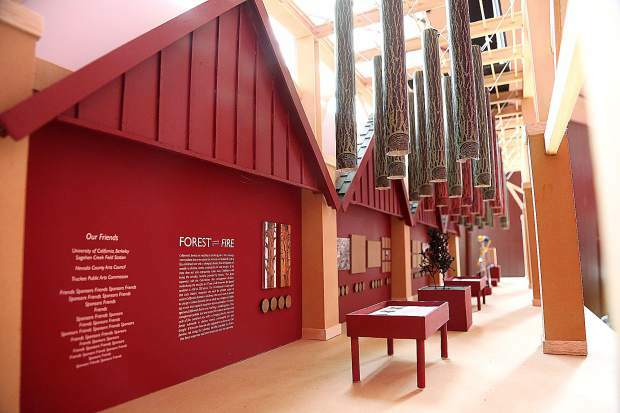 A model of the art installation Forest Fire is on display during Saturday's Climate Action Forum. 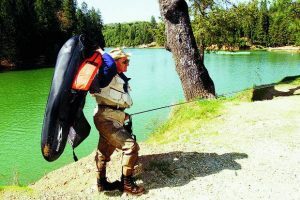 The life size display is slated to first be on display in the Truckee Community Center in October of 2020 before touring the state of California. 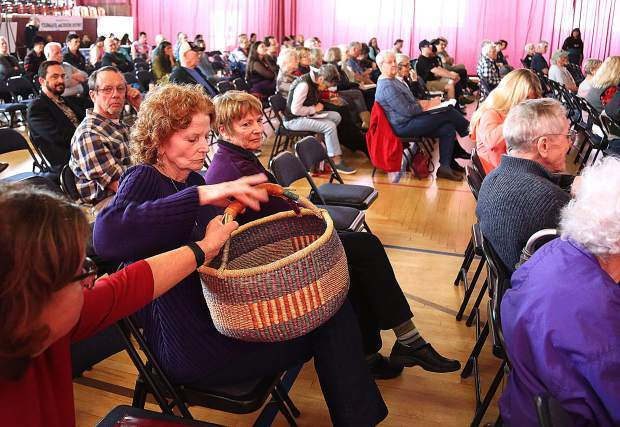 A basket is passed around the room during Saturday's Climate Action Forum to help offset the cost of renting the building. 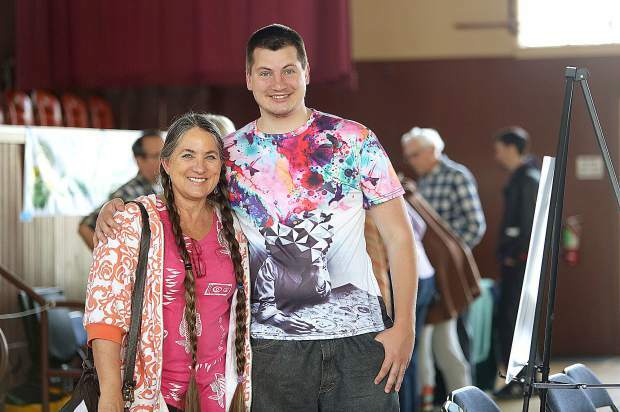 Gena Buschmann and her son Carl enjoyed the day at the Climate Action Forum. 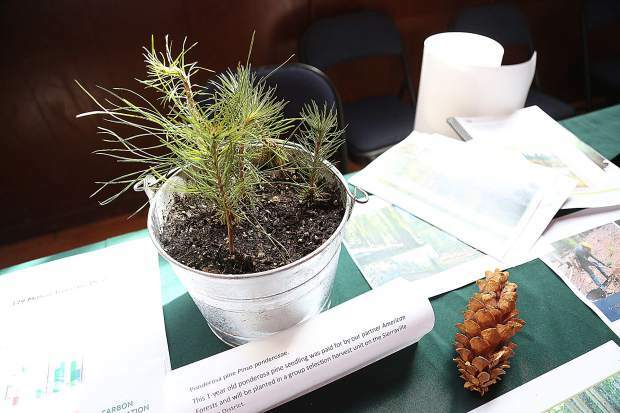 Informational booths at the Grass Valley Climate Action Forum included Sierra Harvest, South Yuba River Citizen's League, California Solar Electric Company, Nisenan of the Nevada City Rancheria, Sierra Streams Institute, Sierra Business Council among many others. 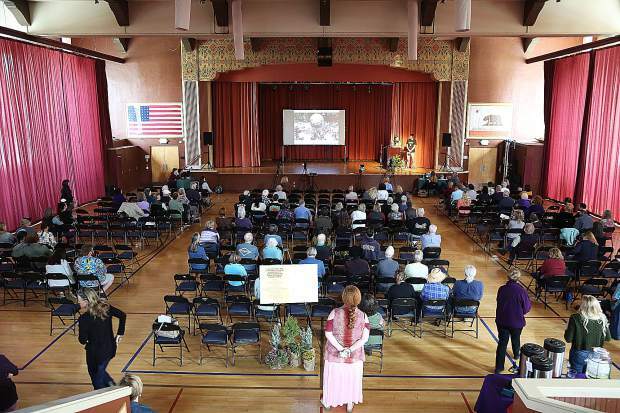 The Grass Valley Veterans Memorial Building was the site of Saturday's Climate Action Forum hosted by Indivisible Women of Nevada County. The event held speakers and informational booths. 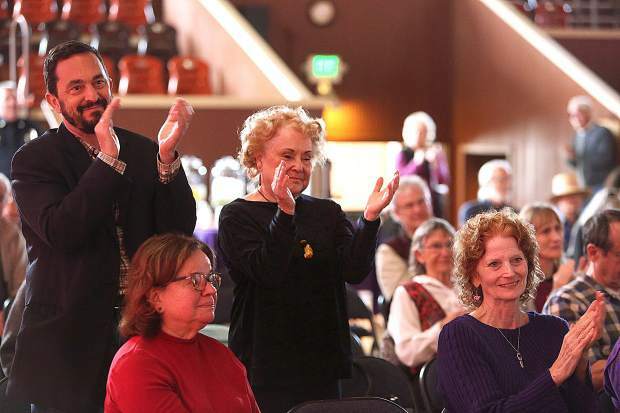 Shelly Covert draws a standing ovation from members of the crowd following her speech at Saturday's Climate Action Forum. 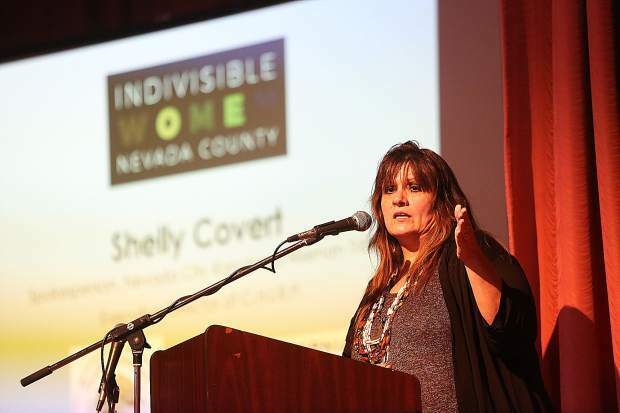 Shelly Covert of the Nevada City Nisenan talks to the crowd during Saturday's Climate Action Forum at the Grass Valley Veterans Memorial Building.